Experience the depths of your meditation potential. Integrating synths, electric violin, vocals, and sonic bass, DEEPSØNØS is a beautiful full-spectrum sound meditation experience. Beginning with verbal guidance, cinematic sonic bass producer/violinist/vocalist HÄANA takes participants deep into a hyper-tuned awareness of their senses, then transitions to her palette of sounds and paints an original, intuitive and intricate sound journey, for a profound subconscious sojourn. Each DEEPSØNØS journey is created in the moment specifically for the participants, geographical location, and astrological configuration. 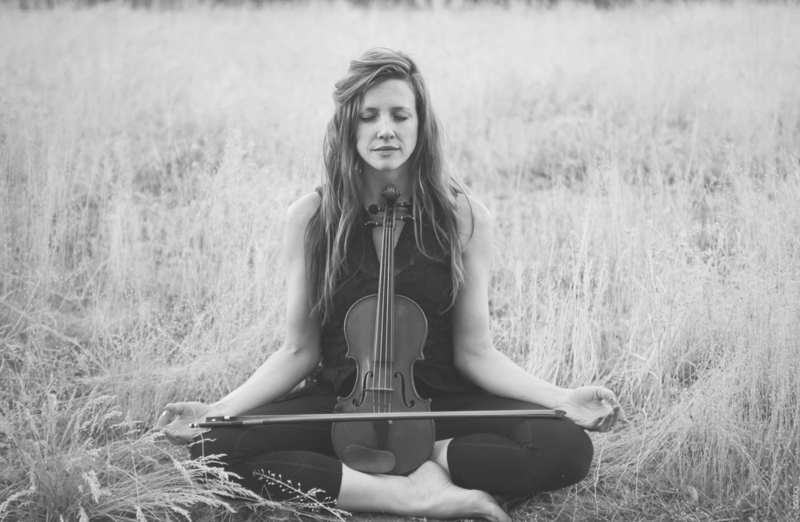 HÄANA is deep in the yoga/music/meditation scene, and performs her original orchestral and intuitive scores at numerous yoga festivals and studios around the world, including US and Canadian Wanderlust Festivals, collaborating with lauded teachers Elena Brower, Seane Corn, Shiva Rea, Eoin Finn, Aarona Ganesan, and many others. She has presented DEEPSØNØS Meditation Workshops all over the States and Internationally, including: Wanderlust (Vermont, Colorado, California, Quebec, British Columbia), Envision (Costa Rica), Bass Coast (British Columbia), Shambhala (British Columbia), Summit (Love Yoga Fest (Cape Cod). In addition to the live workshop experience, HÄANA produces 10-min sonic meditation soundscapes called Episodes, to enhance your meditation experience at home or on the go. These Episodes reflect the seasons and are composed at 432hz, which is likened to the frequencies of the sounds in nature. Experience the depths of your meditation potential with DEEPSØNØS by HÄANA.